This weekend, my husband and I will be adventuring in DC. We’ll be hitting up the MetroCooking DC food show, as well as some local bars and restaurants. Get your tickets for MetroCooking DC 2015 online now! There are a number of special events taking place during the show, including a BBQ Bash, Beer, Wine and Spirits Garden, RAMW Tasting Pavilion, LADC Pop-Up Cooking School and a number of VIP meet and greets with the show’s celebrity guests, including Giada de Laurentiis, David Guas, Michael Symon, Christina Tosi and Bryan Voltaggio. Follow me on Twitter, Instagram and Pinterest to see my picks from the MetroDC Cooking Show! Fall in Virginia means gorgeous trees in brilliant reds, golds and oranges. It also means it’s time to pick apples! 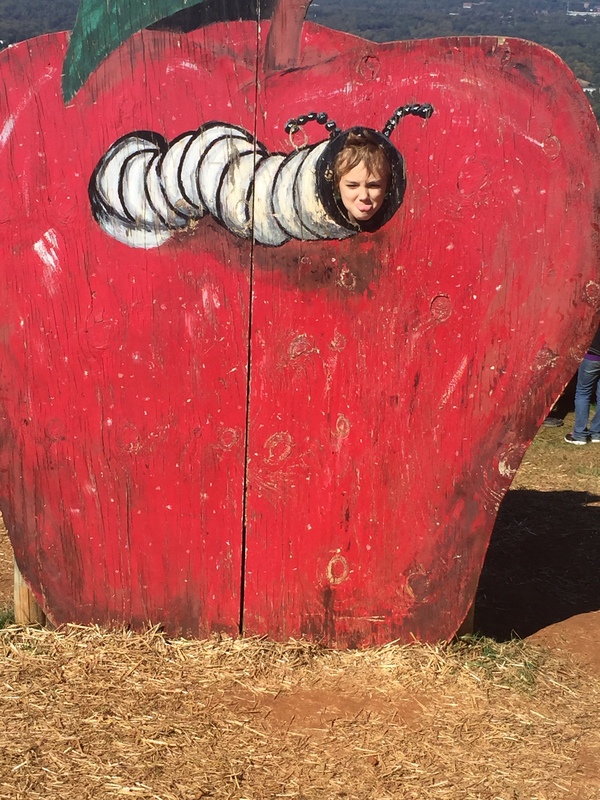 This year, I took my kids to Carter Mountain Orchard in North Garden, just outside Charlottesville. Since both school and my work were closed on Columbus Day, we picked that day to visit. LOTS of other people had the same idea, as the place was pretty crowded. 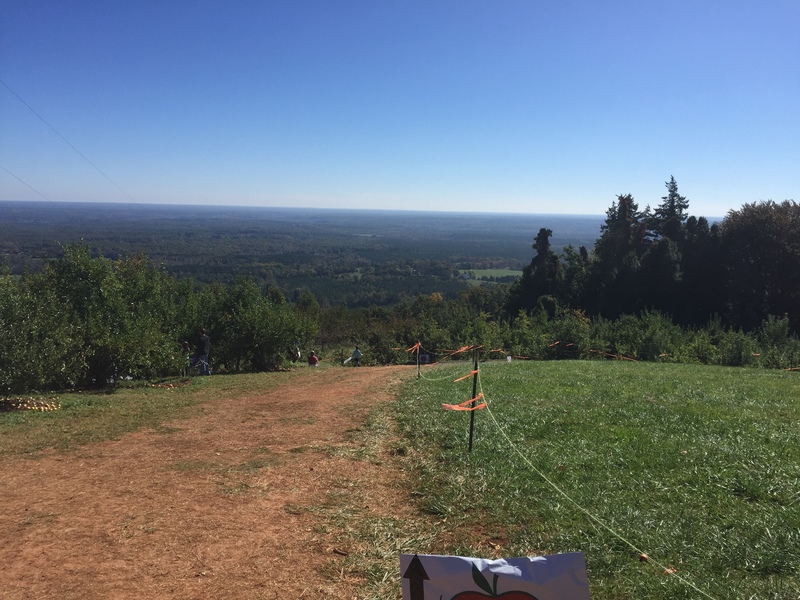 Carter Mountain has plenty of apple varieties across a large orchard area. We picked Winesap, Stayman, Golden Delicious, Granny Smith and Fuji apples. At the orchard, there are several barns where you can taste local wines and ciders, shop for cold cider, apple cider donuts and other baked goods, and find local crafts and souvenirs. There was also a small pumpkin patch, a hayride through the orchard and an apple and worm cutout for my goofy kids to pose with. For lunch after a morning of apple picking, we visited historic Michie Tavern, just down the mountain from the orchard. 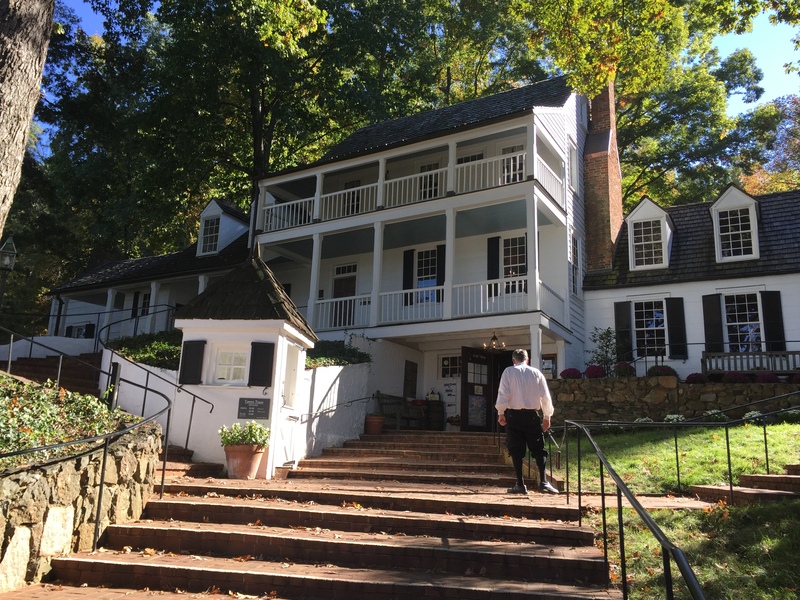 Built in the late 1700’s, the Tavern likely hosted Thomas Jefferson, James Madison, and any other visiting dignitaries. The interior is low-ceilinged, with exposed beams and numerous fireplaces. 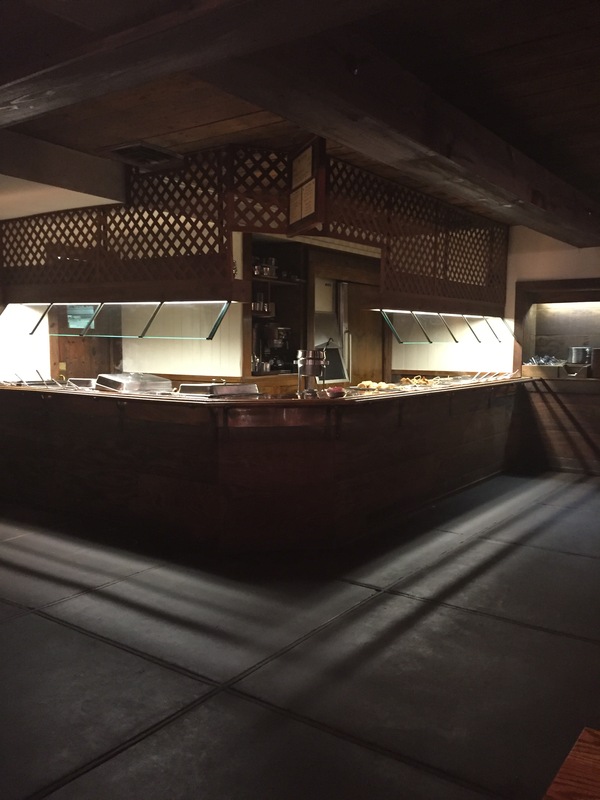 You feel as if you’re stepping back in time as you enter one of the tavern’s gathering rooms. 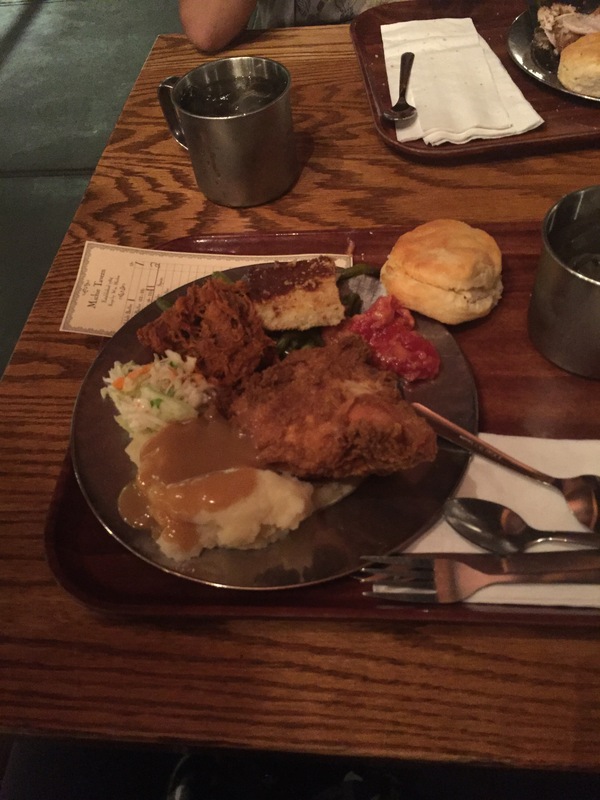 A delicious buffet lunch of fresh fried chicken, smoked barbecue, string beans, stewed tomatoes, cole slaw, mashed potatoes, cornbread, fresh-baked biscuits and more was the perfect meal after a long day tromping through orchards. Everything I ate was delicious, and the tavern’s atmosphere made me feel like Thomas Jefferson himself could barge in at any moment to discuss the day’s politics. If you want to get your apple picking on, you’ve only got a few more weeks! Visit Virginia Tourism’s website for other orchards and festival information. Did you know that Virginia made alcohol illegal a full three years before the rest of the country? In larger Virginia cities like Alexandria, Richmond and Norfolk, this extra three years of “dry”ness made speakeasies a booming business. Virginia’s history as a hotbed of moonshine production, combined with the natural harbor of the Chesapeake Bay (perfect for rum running) and the ingenuity of Virginians in setting up moonshine and whiskey stills (along with a full range of criminal organizations to protect them) meant that Virginia was still quite “wet” despite the 18th Amendment. Hell, even the Jefferson Hotel housed a speakeasy within its storied walls. Fast forward nearly a century and witness the resurgence in pre-Prohibition era cocktails, the focus on high-quality liquors and drink ingredients and the creativity of modern mixologists and you can see why the speakeasy is stepping back into the limelight. 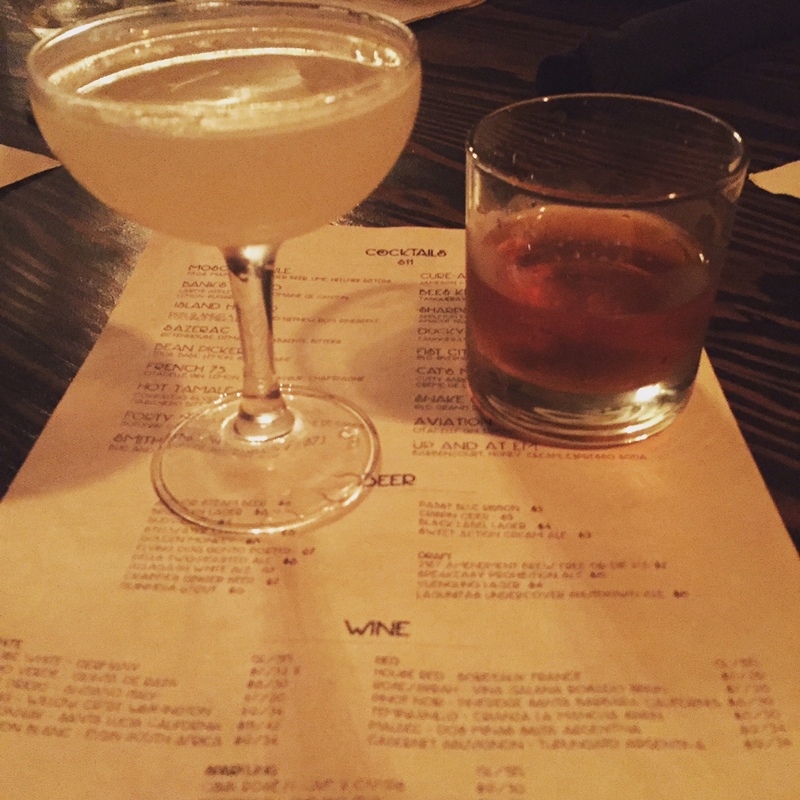 From Bar PX in Alexandria to The Speakeasy Grill in Richmond, the trend of revisiting the ambience and charm of the speakeasy is evident in today’s bar scene. 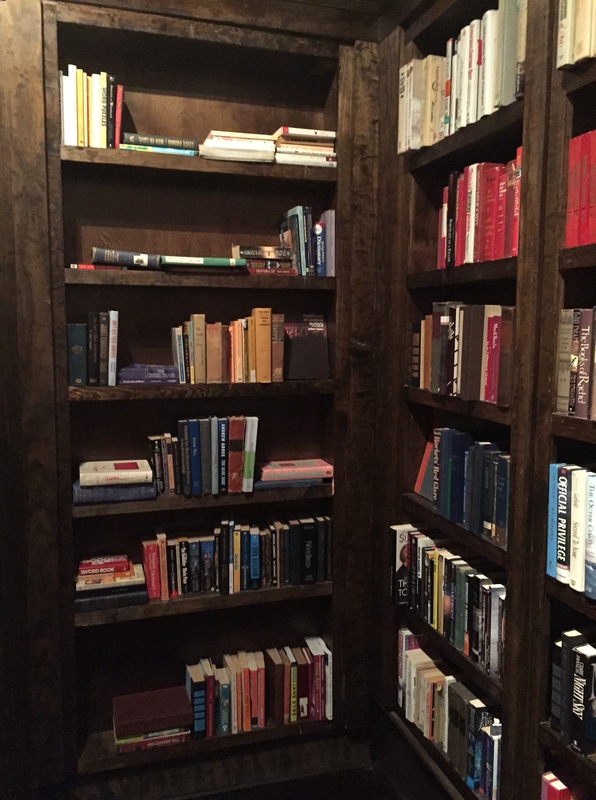 Recently, I had the opportunity to check out another Richmond speakeasy: Grandstaff & Stein Booksellers on Main Street a block past the Poe Museum. Whisper the day’s password to the host (which you will have discovered on Grandstaff & Stein’s Facebook page), and the bookcase will be pulled back to reveal a dim and bustling bar, with indoor tables and booths as well as an outdoor courtyard. The cocktail menu is short but creative. I had the Fist City, and a friend had the Bean Counter. The food was elegant and tasty. 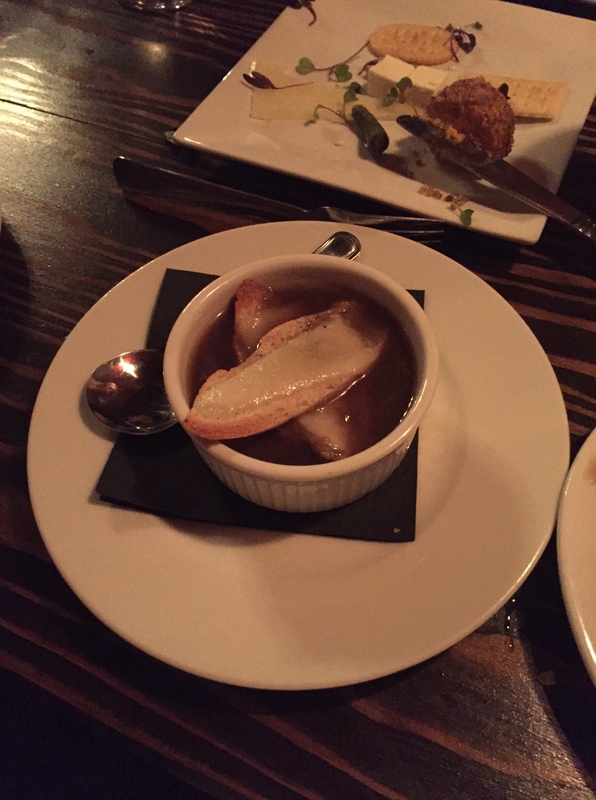 I had a cheese and crackers plate and French onion soup. Our group shared some veggies and hummus and parmesan and herb popcorn. I loved the laid back vibe of this place, and I’m a sucker for kitschy bar concepts. 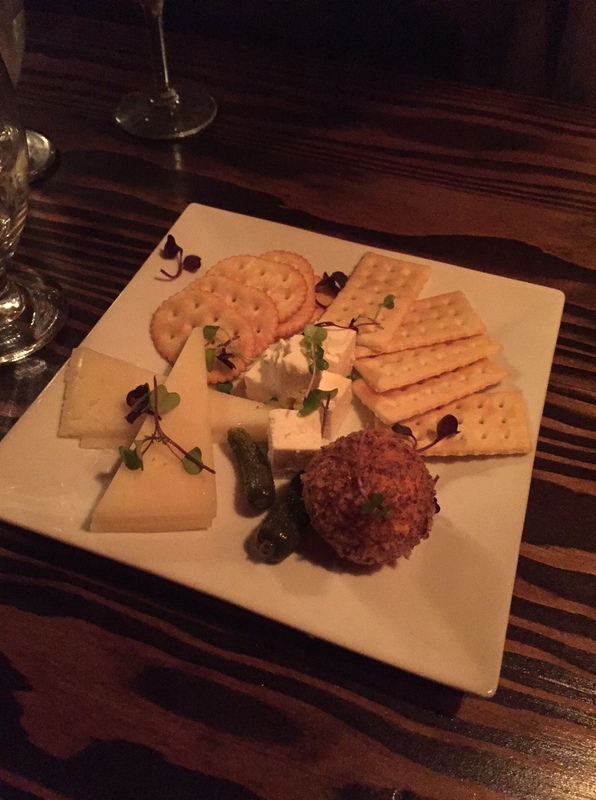 Grandstaff & Stein is a great place for creative cocktails and a bite to eat away from the hustle and bustle of Shockoe Bottom. I’d definitely visit again – I’d love to have drinks at the bar or enjoy a meal and some cocktails in the courtyard. Check it out! But be aware that it gets crowded quickly on the weekends. If you have a large group, you may have to wait a few minutes for a booth or table.